The 2005, award winning nature documentary 'March of the Penguin', captured the yearly journey of the Emperor Penguins of Antarctica. It renewed our interest in the life of these beautiful creatures.Though it is a wonderful documentary, it does contain occasional imagery that are disturbing - some penguins freezing to death, others being killed by predators. Parents might not think it as appropriate for their little children's viewing. 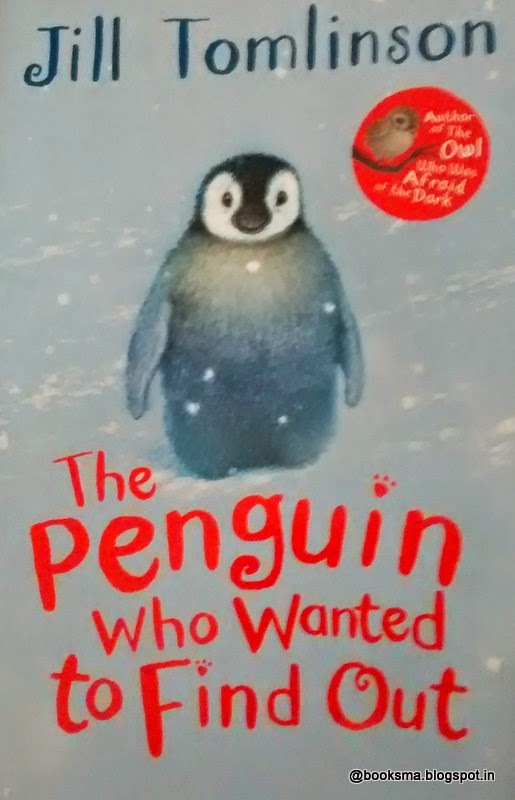 'The Penguin Who Wanted to Find Out' by Jill Tomlinson tells the story of Otto, the penguin chick.Through Otto,the author traces the journey of transformation of a penguin, from chick to adult. Otto is a curious penguin. He asks a lot of questions to wise Claudius, a male Emperor Penguin,who carries him around on his feet. The questions that Otto asks are the many questions that young readers might have about penguins and their life in Antarctica.The books gives a vivid description of the climatic conditions,the prevailing topography and how penguins survive in the harsh weather. Otto, being the first chick, takes care of the other chicks.He learns that penguins help and take care of each other. The book tells how all the adult penguins in the community take turn to feed and nurture all the chicks. Otto along with other chicks - Leo, Nap, Gusto, Alex grow up together, eagerly wait for their adult feathers to come through and finally toboggan into the sea. A wonderful, easy and fun way for our curious kids to know more about the life of Emperor Penguins.